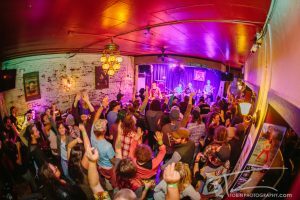 This historic destination is renowned for elevated pub fare, late night dining, libations made with care, a spirited sports atmosphere, world class live music and a feel-good vibe. Dinner house. 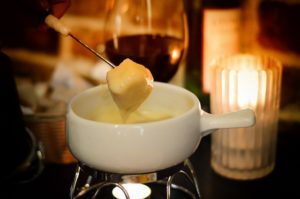 Fondue, steaks, prime rib, lobster, fish, enter-tainment. Dinner only. Open daily. Full bar. 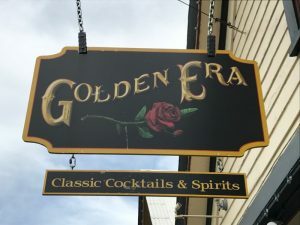 Tues, Wed, Thurs, Sunday 4:00 p.m. - 12:00 midnight, Friday, Saturday 4:00 p.m. - 2:00 a.m.
Take a step back in time at the Golden Era Lounge where handcrafted cocktails are served under the gold tin ceiling surrounded by red roses and a fireplace to cozy up to on those cool evenings in Nevada City. Live Jazz & Blues music on Friday & Saturday nights 8 to 11 p.m. Check the website for full calendar lineup. Lefty’s Grill prepares all dishes from scratch, with daily specials, award-winning pizzas, unique sandwiches and much more. 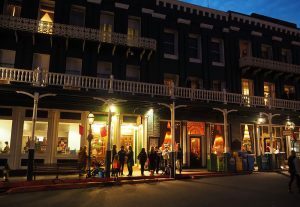 Nevada City's most visible landmark, the National Hotel, will re-open later this year, under new ownership. As reported in The Union on February 12, 2018, the National Hotel in Nevada City is under new ownership, undergoing an estimated $5 million renovation. The project seeks to restore the hotel to its former glory by combing historic preservation with modern aesthetics, and by meeting code requirements, and aims to be completed before Christmas. In the interim, the bar is closed and room reservations are canceled -- although two rooms are being kept available in the back in order to keep the "continuously operating hotel" designation. 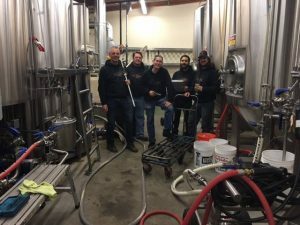 Ol' Republic Brewery opened its doors in February 2012 in the historic mining town of Nevada City, a town made famous by the 1849 Gold Rush. Brewers Jim Harte and Simon Olney have always been fascinated with old-world beer styles. A new venture for Ol Republic. After serving the Nevada County community delicious beer for over six years, we decided it was time to add delicious food. 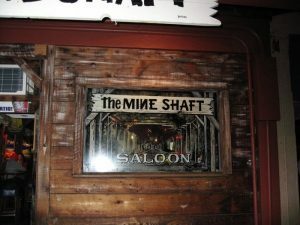 We purchased the 5 Mile House to create an extension of the atmosphere cultivated at the Nevada City Taproom. Make it your local watering hole, your second dining room, your favorite place to meet family and friends, the place you come to at the end of a hard day for a great beer and tasty food. 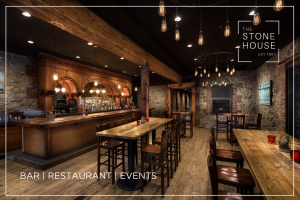 Restaurant, Bar & Event Space in historical stone building downtown Nevada City. Join us for brunch, lunch and dinner Wednesday - Sunday. Our kitchen is open from 11am-11pm serving organic dishes featuring local ingredients whenever possible. Enjoy happy hour in the Tavern and check out our calendar for nightly music shows and late night entertainment until 2am on Fridays & Saturdays. Call us for questions, reservations or to book your wedding, party, or private event. As you walk through the doors of Cirino's at Main Street, you are greeted into the world of the “Cirino Family Kitchen”. Jerry Cirino has invited guests to his family table for the past 35 years and has served his signature dishes to those who celebrate great food, great friends and good cheer. 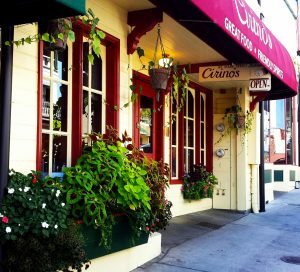 Cirino's is a neighborhood restaurant patronized by local residents and visitors alike. Proudly serving pastas, lamb, steaks, and seafood. Featuring a full bar and an extensive wine list. 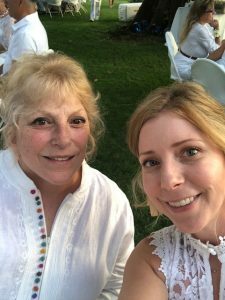 Honored with more "Best of" awards than any other business in Nevada County. 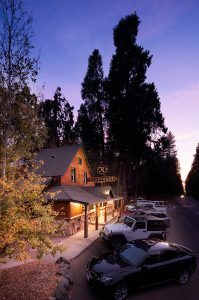 Tofanelli's Gold Country Bistro, Nevada County's popular destination for breakfast, lunch, dinner... or simply enjoying a bottle of fine wine, delicious appetizers and fresh air in the charming outdoor patio. Award winning patio for 12 years. Enjoy our full bar too!